NICE 1/1 UNIT W/OPEN KITCHEN & TILE FLOORS. LOT OF CLOSETS. VIEWS TO HERITAGE PARK AND COLLINS. GREAT LOCATION. 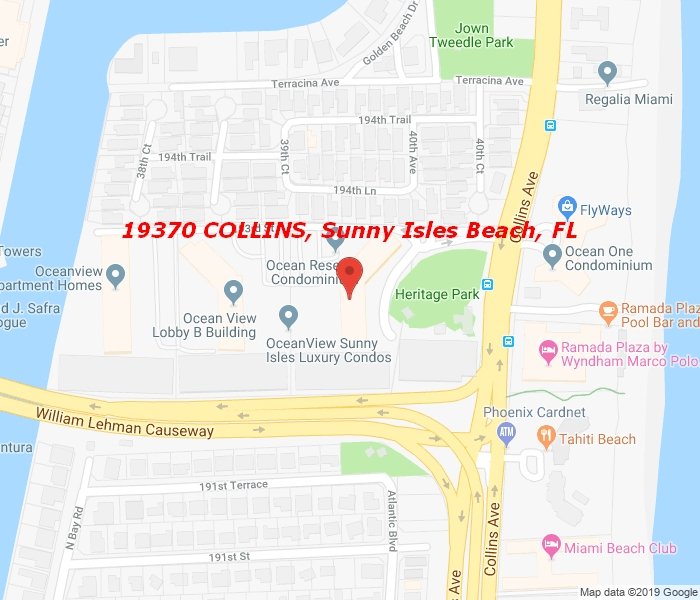 BEACH ACCESS ACROSS COLLINS AND JUST 5 MIN FROM AVENTURA MALL. COMPLETELY RENOVATED BLDG W/HEATED POOL, CABANAS, GYM, TENNIS, BUSINESS CENTER, VALET, 1 ASSIGNED PARKING. CONVENIENT MARKET, COFFER SHOP & HAIR SALON INSIDE BLGD.